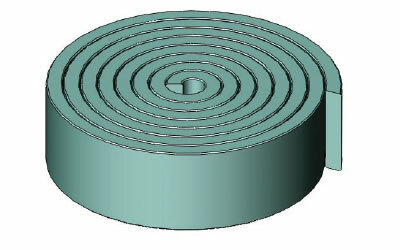 TB is a rod-piston guide strip designed to be used in medium duty hydraulic and pneumatic systems. NOTE: We advise you to cut the strip for use in a 30 ° angle. For a piston circumference minus one times the thickness e.g. For a rod circumference plus one times the thickness e.g. Note: The permissible sealing gap values of TB strip is indicated in the table below. Note: The largest sealing gap value occurring on the non-pressurized side of the seal does have a vital importance for the function of the seal and in this respect it is quite important to use the S value lower than the above indicated numbers. Note: The above data are maximum values and cannot be used at the same time. Note: It is recommended to have 50% to 90% of the working surface material contact area value.